Caught Offside will be bringing you the Euro 2016 draw live from Paris on Saturday evening at 17H GMT. For the first time ever, 24 teams are taking part in the continental championship, and the two-dozen sides are set to find out their first-round opponents on Saturday evening. At least Scotland avoided any of the big guns. Reminder that 4x 3rd place teams get through from #EURO2016 group stages. Predicting goes out the window, pure knockout. Gonna be great. England will play Euro 2016 Group B matches in Marseille, Lens and St Etienne. #Euro2016Draw kicks off with Can Can dancers. High-kicking and not a yellow card in sight. Bit of accordion action now. Following a gruelling qualifying campaign, all of the participating nations will be desperate to find out who they will be meeting at the summer showpiece in France in just over six months’ time. 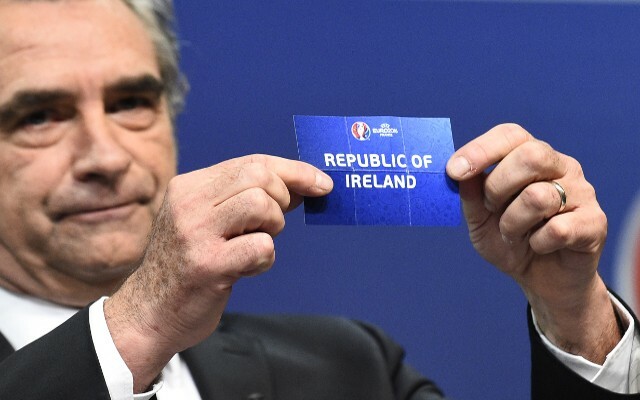 There is particular interest in the draw in the British Isles, where home nations England, Wales, Northern Ireland and Ireland will all be present in the pots following successful qualifying campaigns. With the tournament expanded, there is every chance of a ‘Group of Life’ for Roy Hodgson’s Three Lions, with a possible pool containing Slovakia, Albania and Switzerland (whom England beat in qualifying) a real prospect. However, there’s also the chance that England could find themselves pooled with Italy, Zlatan Ibrahimovic’s Sweden, and Gareth Bale’s Wales…over to you Roy! Below is the complete run down of qualifiers and their pre-draw pots, stay tuned to Caught Offside for the live action, the instant reaction, and the best of social media.